"Washington, D.C. standout Sharón Clark has brought festival and concert audiences to their feet across the globe. Her New York run drew raves from the NY Times and the Wall Street Journal, and she won New York’s Bistro Award for Best Vocalist. Ms. Clark has made countless international tours, from Europe to Israel to Russia, where she has developed a major following. Ms. Clark won the Gold Medal and $10,000 top prize at the Savannah Music Festival's American Traditions Competition. 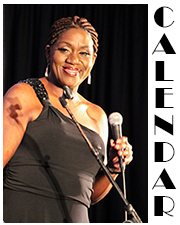 She then took first place in the Billie Holiday Vocal Competition, which offers a $2,500 prize along with a featured appearance with the Baltimore Symphony. 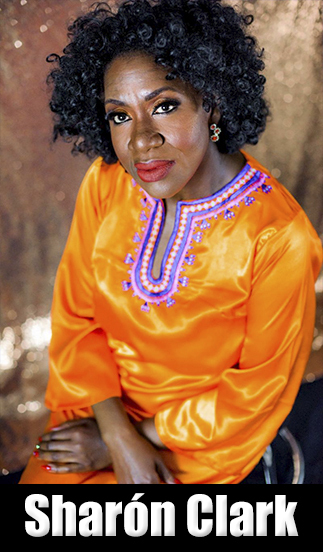 For her most recent recording, “Soulful Serenity,” Ms. Clark teams up with long-time collaborator Paul Carr on tenor saxophone, along with Bruce Barth and Chris Grasso (piano), Herman Burney and Michael Bowie (bass), and Lewis Nash (drums). Her previous release, “Do it Again — My Tribute to Shirley Horn,” drew raves and is on its third printing. 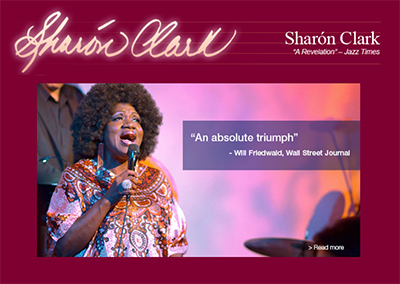 "The Washington Post hails Sharon as "the finest jazz singer in Washington," with a sound evoking Sarah Vaughan and Ella. Chris Grasso is a Washington, DC-based jazz pianist who specializes in working with vocalists. Chris has performed live on WPFW, DC's jazz station, with jazz greats Keter Betts and Buck Hill. He also has appeared with Ken Peplowski and the Chuck Redd Quartet, and with New Orleans' historic jazz family, the Jordans (Marlon, Stephanie and Rachel). Hear the vocalist JazzTimes calls "a revelation"! Washington, D.C. standout Sharón Clark has brought festival and concert audiences to their feet across the U.S. and Europe. Her 2008 release, Do it Again — My Tribute to Shirley Horn, is on its second printing, and she grabs top honors wherever she goes." "New and amazing . . . an absolute triumph"! "You can’t underestimate the transformation of what seems like an ordinary song when an interpreter like Sharón Clark tears it apart and peers inside." "A revelation . . . I never thought I'd hear a singer with the range, musicality and command of tone and timbre that was Sarah at her best, but now I have." "Washington, DC based jazz and blues extraordinaire, Sharon Clark, was a close friend and confidante of the late incomparable jazz stylist, pianist, and songstress, Shirley Horn. 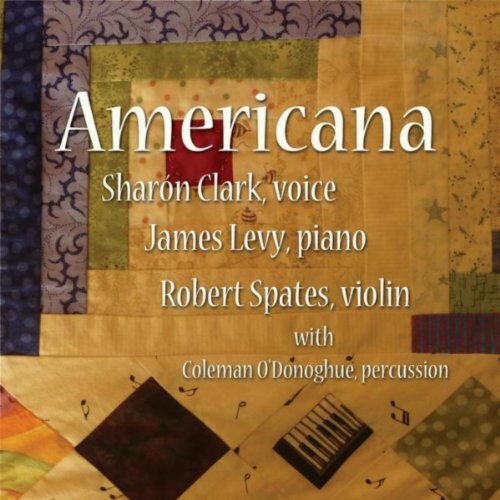 When Horn died in 2005, Clark bade farewell to a friend she had known for well over 25+ years; and soon thereafter, she began work on putting together a CD that not only honored Shirley Horn’s illustrious musical career, but, also it highlights Clark’s exceptional and gifted talents as a musician. 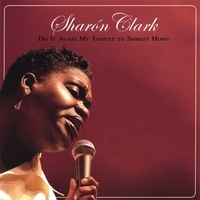 "Sharon Clark: Do It Again – My Tribute to Shirley Horn" CD, which was released in 2008, is accompanied by well-known local jazz musicians side-men and some marvelously swinging arrangements by drummer, Lenny Robinson, brilliant jazz pianist, Chris Grasso, Michael Bowie on bass, Paul Carr on tenor saxophone, and James "The Tex" King on bass as well. These fine musicians, along with Clark's unique style of phrasing songs, makes "Sharon Clark: Do It Again – My Tribute to Shirley Horn" both a delightful tribute to a jazz icon and a testament to Clark’s own creative musical genius." "Union Records showcases jazz musicians working in the Washington, D.C. area and Sharon Clark is part of this group. As this recording establishes, Clark is equally at ease with blues and gospel as she is with jazz. She can swing and has more than adequate range, diction and phrasing. The play list on this album is made up of standards plus songs not often found in jazz singers' repertoire and an original. This menu of songs allows Clark to effectively use her singular singing kills."